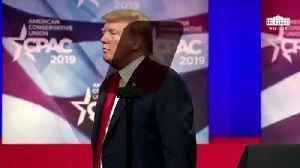 ▶ Videos for "Trump Announces"
President Trump announced he will be skipping the White House Correspondents’ Dinner for the third consecutive year. 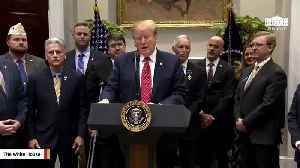 President Trump on Thursday announced Jovita Carranza will be nominated for the next SBA administrator role. 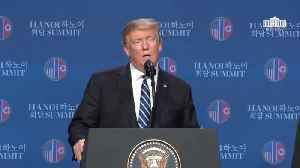 According to a report by Reuters, on Friday, US President Donald Trump said that US-backed forces had dislodged the Islamic State militant group from its last holdout in Syria. 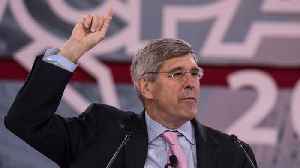 Over the past few weeks,..
President Trump announced Friday he'll nominate Stephen Moore to the Federal Reserve Board. .S. 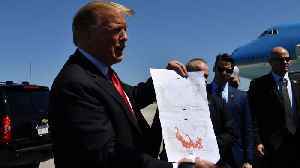 President Donald Trump said on Wednesday that the United States was going to order the grounding of all Boeing Co 737 MAX 8 and MAX 9 aircraft after a crash in Ethiopia that killed 157 people. 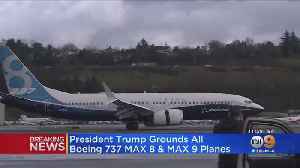 President Trump announced Wednesday that all Boeing 737 Max planes will be grounded "effective immediately," after the second such deadly plane crash in five months. 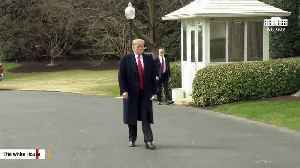 President Trump on Tuesday announced he'll visit Alabama. Melania Trump on Thursday announced a tour in connection to her "Be Best" initiative. 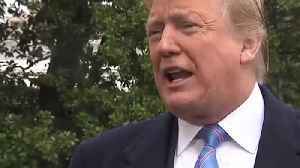 Trump: "Sometimes you have to walk and this was one of those times"
Trump Announces A Special July 4 Celebration Coming To D.C.
Freedom with a splash of elegance for the Trump White House. 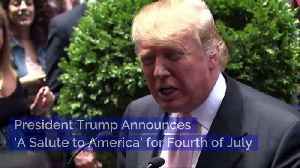 President Trump Announces 'A Salute to America' for Fourth of July The president took to Twitter to reveal the event. Trump has been hinting at such an event for a while. 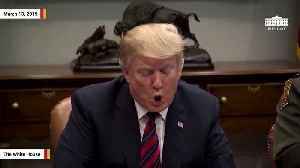 President Donald Trump, to..
President Trump's nominee for the post is current U.S. ambassador to Canada, Kelly Knight Craft. United States Secretary of Homeland Security Kirstjen Nielsen is out. President Donald Trump confirmed the news via Twitter on Sunday. Secretary of Homeland Security Kirstjen Nielsen will be leaving..
President Trump on Thursday said he would be nominating Jovita Carranza to head the Small Business Administration (SBA). 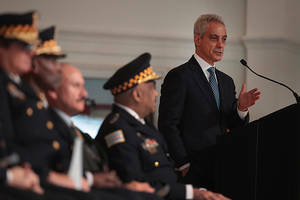 Chicago mayor Rahm Emanuel took aim at President Trump over what he said was the “toxic environment” the billionaire has created, adding that it played a role in the Jussie Smollett hate crime..
Chicago Mayor Rahm Emanuel said the city would ask “Empire” star Jussie Smollett to foot the bill for his own criminal investigation. 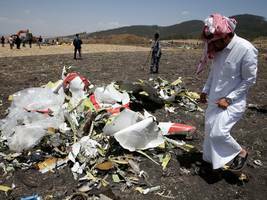 “The police are right now finalizing the cost that was..
· *Crash investigators released the first picture of the black boxes from Ethiopian Airlines Flight ET302. 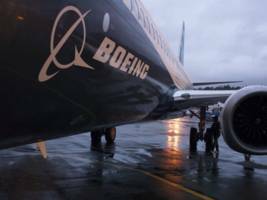 * · *The photo, of the Boeing 737 Max 8 airliner's mangled flight data recorder, was..
· *Prior to making his decision, President Donald Trump considered whether grounding the Boeing 737 Max in the US would negatively impact the stock market and cause panic, according to a Washington..
President Trump announces the FAA and Dept. 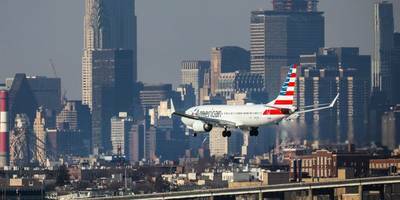 of Transportation will ground all Boeing 737 MAX 8 and 9 aircraft following recent crashes of the model. 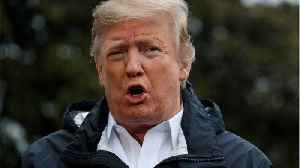 · *Southwest Airlines shares turned negative on Wednesday after President Donald Trump announced all Boeing 737 Max jets will be grounded immediately. 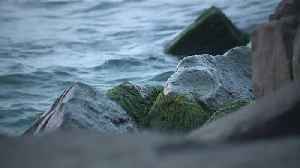 * · *The announcement came three days after the..
** · *Boeing recommended that the Federal Aviation Administration temporarily ban its 737 Max aircraft "out of an abundance of caution," though the aerospace manufacturer says it is still confident..
· *The United States grounded all Boeing 737 Max 8 planes on Wednesday following two deadly crashes involving the aircraft in the past five months. 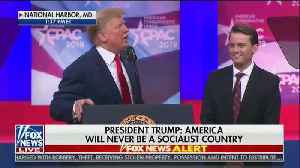 * · President Donald Trump announced on Wednesday..
President *Donald Trump* announced during his CPAC speech today he will sign an executive order requiring colleges to "support free speech." A Texas man who was abducted in Yemen in 2017 has been reunited with his family, President Trump said Monday. 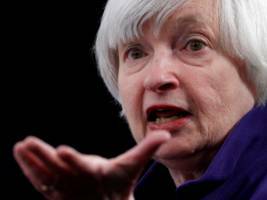 · Former Federal Reserve Chair Janet Yellen told Marketplace that President Donald Trump doesn't understand economic policy. 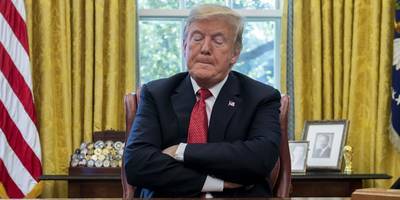 · Yellen, now at the Brookings Institution, also said Trump's focus on..
· Global stock markets rallying after President Donald Trump tweets about "substantial progress" in trade talks with China. 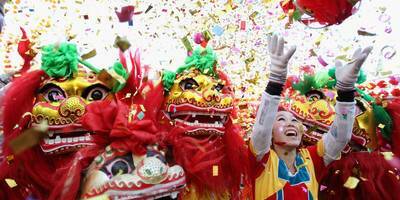 The Shanghai Composite Index soared 5.6%, its best one-day rally since..
· President Donald Trump announced that the US would delay an increase of its tariffs on $200 billion worth of Chinese goods. 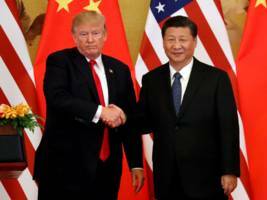 · Trump tweeted Sunday that talks to end the trade war with China "made..
President Donald Trump plans to meet with Chinese President Xi Jinping to settle on a final trade agreement. 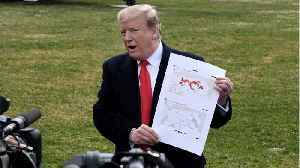 WASHINGTON – In an announcement that appeared to catch many off guard, President Donald Trump on Sunday promised a July Fourth celebration on the National Mall this summer like no other, complete.. It was unclear if the event would include a parade or a display of military might, as President Trump has repeatedly sought in the past. 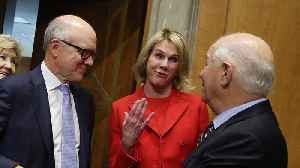 President Donald Trump announced on Friday he was nominating Kelly Knight Craft as the next U.S. ambassador to the United Nations. 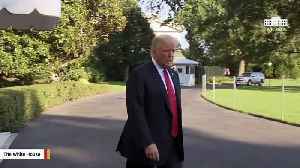 President *Donald Trump* will give speech in the White House Rose Garden on Friday, presumably to announce his decision regarding the situation at the border. As Trump announces 2nd summit with North Korea, what progress has been made since the first meeting? Global Situation Room CEO Johanna Maskas joins CBSN to discuss what tangible steps, if any, have occurred toward the denuclearization of North Korea since President Trump's first summit with Kim Jong..